Aviation law cases require high-level experience in many aspects of aviation, not solely legal expertise. In addition to having a meticulous understanding of available legal remedies, an aviation attorney must be thoroughly knowledgeable on engineering principles, aeromechanics and FAA protocol. The causes of commercial and military aviation crashes often share many similarities: pilot error, poor maintenance, air traffic control mistakes, or even faulty equipment. It takes a special attorney to investigate and represent people and families who have suffered because of an airplane crash. Pilot Law Corp, P.C. 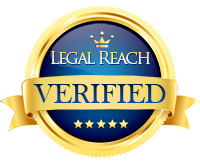 has extensive experience in aviation law, including mediating and litigating cases involving mass air crash disasters, general aviation accidents, and military aircraft accidents. Since being admitted to the Bar in December 2002, Mr. Lawler has dedicated his professional legal career to the aviation industry, litigating several domestic and international aviation cases including commercial and general aircraft disasters, and military mishaps, both helicopter and fixed wing. In addition to Pilot Law’s representation of clients involved in aviation accidents, Pilot Law, P.C. has successfully represented aircraft owners, pilots and aviation businesses in all segments of the industry including operations, manufacturing, maintenance, overhaul, certification, and government compliance. Pilot Law’s clientele also includes aviation professionals facing suspension and revocation by the FAA. With over 2,000 hours of combined military and civilian flight time, Mr. Lawler has the proven skills, industry experience and acquired knowledge to provide unparalleled representation covering all aspects of aviation, including FAA enforcement actions, FAR certifications, aircraft accidents and aircraft transactions. In 2003, Mr. Lawler was mobilized as a U.S. Marine in support of the Global War on Terror and was a key member in two military aircraft accident investigations. Mr. Lawler’s unique perspective enables him to deliver unmatched legal services and provide keen insight into all facets of the aviation industry. If you are in need of legal representation for an aviation matter, please contact our office.